hat does the word Selah mean? There has been much conjecture and speculation by some theologians, and due in no small part to this speculation, Christians are frequently confused as to the true meaning of this word. But having been told everything from "the original Hebrew has been lost," to, "Jewish scholars agree it means forever," it is very easy to understand their confusion. In addition, many are assured that because this word appears only in the psalms and a poetic section of Habakkuk (which is not true), they are justified in "assuming" that it is just a musical term indicating an interlude. I have even read that Selah is from an Aramaic word, and it really means worship. Still others claim it means to "lift up." All of which serves not to enlighten the church, but to confuse the issue even more. With all of these "experts" making such contradictory statements, one tends to wonder, "Can we even really know what Selah means?" The answer to this question I believe is yes. The answer really shouldn't be subjective or left to conjecture. Because there is much we can learn about this word from the original Hebrew in which it is written, from allowing the Bible to be its own dictionary, and from comparing scripture with scripture and allowing God to be His own interpreter. All of these things can give us a solid illustration of this word's true meaning. Selah, [celah], is from the primary Hebrew root word [calah] which literally means 'to hang,' and by implication to measure (weigh). This is readily understood because in Biblical history, money, food and other valuables were 'weighed' by hanging or suspending them on a type of balance (the equivalent of our measuring scale) to determine their value. We find an example of this word [calah] as it is literally translated 'valued,' in the book of Job, indicating that which is measured. "It cannot be gotten for gold, neither shall silver be weighed for the price thereof. It cannot be valued with the gold of Ophir, with the precious onyx, or the sapphire." The word translated valued is the exact same Hebrew word [calah], and it quite obviously means "measured against." In this context, God is telling us that wisdom "cannot be measured against the gold of Ophir, with the precious onyx, or the sapphire." Here the translation 'valued' is to illustrate the measuring of something for an exchange. i.e. wisdom cannot be measured with the gold of Ophir. It is beyond that value. In verse nineteen we see this very same illustration again. "The topaz of Ethiopia shall not equal it, neither shall it be valued with pure gold." Again, this word translated valued is the Hebrew word [calah] meaning measured. This passage is declaring of wisdom, "The topaz of Ethiopia shall not equal it, neither can it be measured against pure gold." In other words, it is beyond comparison or measuring against. By these type examples of comparing scripture with scripture, noting a word's context, and how it relates to other words, we can very easily begin to see the true meaning of words. In this context, this means "measured" against something else, illustrating that the value of wisdom cannot be measured, not even with pure gold. So seeing that this Hebrew word [calah] means to 'measure,' as in weighing something in the balances, we better understand how the word Selah [celah], which is derived from it, is illustrating that we should measure or value what has been said. In other words, just as we might say today, "The diplomat should, weigh what he says carefully." Or if we were to say that, "The lawyer measured his words to the Jury." Or again, "We should consider the Professor's words circumspectly." All those sentences are speaking of the very same thing. The word [celah] is used in this very same way. It is an illustration that we should 'measure' or value carefully what has just been said. As can be understood in the Psalms, which are often types, very prophetic or Messianic in nature. You may not realize this (because it's so seldom brought to light), but it is not only in the Psalms and Habakkuk, it is also a word that is used in the lamentations of Jerusalem. Of course, it is 'hardly' illustrating a musical stop or poetic notation there. So what does Selah mean? "The Lord hath trodden under foot all my mighty men in the midst of me: he hath called an assembly against me to crush my young men: the Lord hath trodden the virgin, the daughter of Judah, as in a winepress." The four words translated "hath trodden under foot" in the KJV is actually the very same Hebrew word [celah]. Here in the lamentations or mourning of Jerusalem, God is illustrating that the Lord has "measured" or weighed all the mighty men in the midst of her. 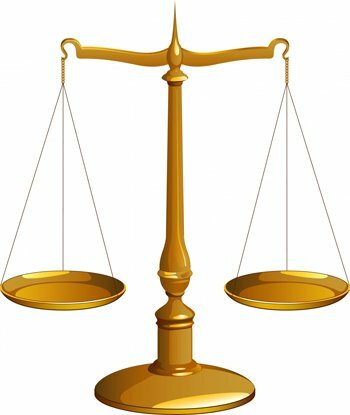 In other words, it is an illustration that they were weighed in the balances, and found wanting (Daniel 5:27), thus their judgment is required. So again we see the Hebrew word is illustrating the act of measuring, not a musical notation. Just so that there is no confusion, note carefully that the second part of that verse where it says the Lord hath "trodden [darak] the virgin," is an entirely different word, and indeed means to tred. No doubt in this context, this is why the translators "thought" the word [celah] should also be translated trodden. What does Selah Mean? As we know, this word is extensively used in the Psalms. The reason is because the psalms are a prayer book, divinely-inspired songs of the people of Israel, often Messianic, allegorical, and very historically "parabolic." That is to say, history, replete with a deeper spiritual meaning. The Selah is there to signal the believer to 'measure' carefully the meaning of what has been said. i.e., here is some deeper wisdom here, so reflect on it and understand its true meaning. Just as the Hebrew word [amen] that is translated Amen, is an exclamation of confidence of truth and of the certainty of what has been said, so Selah [celah], is an exclamation that we should measure and reflect upon what has been said. "Fearfulness and trembling are come upon me, and horror hath overwhelmed me. Lo, then would I wander far off, and remain in the wilderness. Selah". "Put them in fear, O LORD: that the nations may know themselves to be but men. Selah." "They have prepared a net for my steps; my soul is bowed down: they have digged a pit before me, into the midst whereof they are fallen themselves. Selah." Thy seed will I establish for ever, and build up thy throne to all generations. Selah." Whether of urging our meditation upon our sinfulness, speaking of thrones, declaring God as our refuge, or speaking in 'types' about Christ, this word is an exhortation for us to be wise and measure or weigh what has been said that we do not miss its true meaning. The word is used in the Psalms seventy-three times, and is also used in Habakkuk three times. Each time it is illustrating that we should measure wisely or 'weigh' solemnly what is being said. This is not a passage to pass over lightly as just a simple narrative. The passage is dripping with Soteriology and judgment (Psalms 110:6) to be gleaned only in wisdom, comparing scripture with scripture to come to spiritual understanding. Whenever we see this word in scripture, we should understand that the Lord is exhorting us to 'weigh' these things thoughtfully, and to reflect and consider in good sense judgment, what is "really" being said. So then, what does Selah Mean? Despite claims to the contrary, there actually is no substantive Biblical evidence that Selah is an interrupter to pause the music while voices continue, nor is there sound evidence that it is for the pausing of voices while the music continues. These ideas are based upon the conjecture and theories of it being a music stop. These are presuppositions rather than well researched textual conclusions. But what we do know is that it is a word that means to weigh or measure. In these contexts, it means to weigh the preceding words of God and wisely consider them. What does Selah Mean? It is a signature exhortation from God for our thoughtful reflection and weighing of what we have just read. ..may the Lord who is gracious above all, give us wisdom and understanding, and guide us all into the truth of His Holy Word.